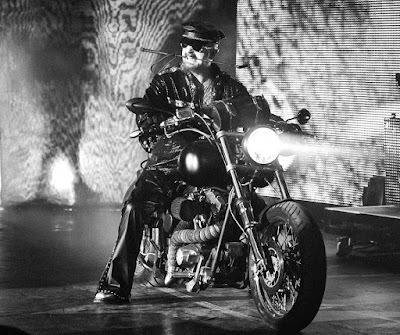 Halford explains that Priest will continue the trend when they return to North America for shows starting May 3 in Hollywood, FL. "We've probably got close to 12 or maybe 15 songs that we're knocking around in the jam room,” says Halford. “That's how some of these tracks like 'Killing Machine' came out onto the live stage. 'Cause the guys would jam. I was in my room and I'm, like, 'What are they doing? Is that 'Killing Machine'? I haven't heard that in, like, 30 years.' And I go in. I'm, like, 'Yeah. It's 'Killing Machine'. It sounds good. Let's try it out.' And we played it live, and the fans were loving it. So I'm sure we'll put that on the setlist when we come back to St. Louis."